Cook Stars are new cookery classes for children in Hull and Beverley. They also offer a range of unique party experiences – High Tea, Mini Cookies or Little Italy, or you may prefer something bespoke. We take care of the whole package so parents can sit back, relax and enjoy the occasion too. All our parties include aprons and all equipment needed to cook up a treat: design your own chefs hat, invites and thank you cards, party games and even a full party buffet. If you want us to take care of the cake and party bags too we can! We offer a ‘decorate your own’ birthday cake and guests simply love our ‘bake at home’ cookie bag gift sets too. For more information and to book please call Sarah on 07555 575605 or email sarah.pittaway@cookstars.co.uk. You can also find more information and book directly on their website here or on you can follow them on facebook here. For a party with a difference, Dolly Daydreams party caravan is a pink, polka dot, mobile party venue that hosts parties for up to 10 girls, from ages 4 and upwards. We bring the party to your home or venue – and take the mess away with us! We also have bell tents for parties in your own garden, we put these up and take them away. New from Dolly Daydreams – indoor sleepover tents! Gorgeous themed A frame tents with bedding, lights and props. Available in many seasonal themes such as Christmas and Halloween plus Harry Potter, unicorns and many more for parties at any time of the year. Plus party extras and FREE themed sweet cones with every party. Also extras to hire such as candy floss machine, chocolate fountain and our selfie mirror for any party or occasion. For more info call Jan on 07581 256607 or email dollydaydreamspartycaravan@gmail.com or visit their website here. Fantastic, indoor venue, Soccer Kings is the perfect place for your child to celebrate their special day. We take care of everything from the invites right down to the catering. Various party packages available. Call for info and to book – 01482 822848 or email info@soccer-kings.co.uk or find out more on their website here. Goldstar Active, York Way, Willerby (next to Aldi, behind Stor-More). 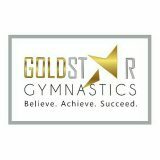 Gymnastics, trampolining, street dance, musical theatre, soft play, baby stars ballet, Parkour and fitness for girls, boys and adults! Classes on every day of the week term time.Also a great cafe upstairs, The Grind, all welcome to pop in to anytime. Goldstar are now providing a range of party packages, contact them for details. It’s time to reach new heights for a party! 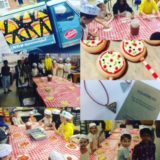 Rock Up Hull offers a truly unique birthday party experience for kids 4 years and up that they will LOVE! We have 26 incredible fun climbing walls towering over 8m with multiple routes to their peaks. There’s something for every ability, all ages from 4 years, ideal for kids 4-16. Parents can climb too. No previous experience or special equipment needed. It’s pure enjoyment for all. Ask about our popular birthday package for 10+ kids which includes a choice of hot or cold food and a private party room. Your special event will be handled by our friendly and helpful staff. It’s great value too. Ample and discounted parking on site. Or for more information please visit their website here. 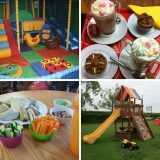 Smile Café in Pocklington is the perfect place to host your child’s birthday party, with plenty of fun activities to suit all ages. The family-friendly play café is available for parties Monday to Saturday from 4pm and every Sunday afternoon from 1.30pm. For younger children, under five, there’s a lovely indoor soft play area with double slide, mats and building toys, plus an outdoor play area with climbing frame, swings and ride-on toys. Older children can also indulge their creative sides with Paint-Your-Own-Pottery and Be-My-Bear parties – super messy and lots of fun. The magical land of WoW is the perfect space for kids (and adults!) to lose themselves in the wonder of life, imagination and adventure. With a real life hobbit hole and tree house, WoW is the hidden gem of the city of Hull, on the corner of Newland Avenue. Families come from across the country to our Narnia and Winter Wonderland events, and we would love to have you here for an unforgettable birthday party! There’s plenty of room for your child to invite the whole class too! Suitable for children aged 1 to 8 years. All our booking is done online, so head to www.wowhullparties.com to find out more, or follow us on Instagram. For other enquiries contact Matthew at parties@wowhull.com. 80 Goulton Street, Hull, HU3 4DL. We offer 17 exciting parties, perfect for 4 – 14 year olds, including disco & games, themed, magic, wacky science, sports and teenage parties… phew! We have a full range of award-winning kids’ parties, including our new Unicorn Party, Dinosaur Party and Jungle Safari Party. CALL US FOR A QUOTE! Our friendly party advisors love being helpful. For further information, quotes or bookings, please call us on 01245 401 401 or email hello@dnakids.co.uk. Messy Parties and Musical Parachute Parties. Dare to be different with our Messy Parties. Messy activities include jelly, sponge, fruit and a cake smash! Play parachute games, sing songs familiar to your child and play instruments at our Musical Parachute Parties. Parties tailored to the need of your little one on their special day. You provide the venue and food and we do the rest! Trampoline park located on the top floor of St Stephens (entry outside next to Next). Lots of fun for children and grown ups! Gravity provide party packages from £15.95 per person. Packages include 1 hour open jump including a private dodge ball game, socks for all guests, group photo and then time in the party room where they can choose from a range of food options. This exciting new concept is the latest party idea. Hire a Nerf Party Package for £75. It’s fun, exhilarating, safe and also helps develop team spirit by encouraging players to work together to achieve each game’s particular goal e.g. capture of the opposing team’s flag. Nerf parties are fun for children and adults alike. We can deliver our Nerf parties to Hull, Beverley, Hornsea, Withernsea & many other East Yorkshire locations. Become a Yorkshire Coast Explorer with Hidden Horizons. For more information call 01723 817017, 07964 759433 or email contact@hiddenhorizons.co.uk. Provide various packages for children’s birthday parties, including a huge choice of character appearances, to suit any budget. For more info contact them on 01482 441738. A party service that offers you a fantastic party for your child and their friends and family. Run by a team of coat style entertainers who provide a range of packages which include disco, karaoke, party dances, party games, parachute games, arts and crafts, prizes, a choice of your very own mascot/character, model balloons, puppet show, face paints, tattoos and nail art. We come to you whether its a hall, public venue, free function room, your house or even your garden. Available for parties in Hull and surrounding areas. There is a large room above Mega Fun soft play where gymnastics parties are held. Children are taken around the gym equipment by trained members of staff, play games and food is provided. Dance themed birthday parties for your child and their friends, for up to 16 children. Princess, pop stars, superheroes, plus many more. The party will include 2 hour studio hire, buffet, dancing with professional instructor, disco, party bags, photo booth and a party DVD. Kids In Their Element offers single, duo and group singing parties in a professional recording studio for children of age 6 and above. Prices start from £65, with Party Packages starting from £150. Come and perform your favourite song with a group of your friends in a professional recording studio. Let the trained and friendly engineers guide your group through the process from start to finish and feel like a pop star for the day! Every participant leaves with a finished CD of their performance so that they can enjoy their experience again and again. Let Loose! Hull Road, Woodmansey. 01482 843 475. Unlimited jumps and slides on our Big Leap & Super Slide. A designated Party Den – This is where your yummy food from The Greedy Moose cafe will be served, and you can leave bags and coats. Up to 4 parents/carers of the party child may attend for FREE. The party child and their immediate family may stay for up to 1 hour after the party ends to play. Any additional children and Parents/Carers will be charged standard Park Entry Prices (including any siblings of the Party Child if not already included in party numbers). Rachael O’Neill covers the Yorkshire and Lincolnshire area. She takes her animals to visit schools, nurseries, parties, care homes and events. Rachael has a degree in Conservation and has been running workshops in schools for over ten years. Little Bunny Bakers is a cookery school for children based in Beverley. It aims to spark a passion for cooking and a love of great food to last a lifetime. an hour and a half baking a delicious afternoon tea, a fantastic savoury party feast or take part in a cake and biscuit decorating extravaganza! Invitations are included and party bags and birthday cake are also available as extras. A fantastic experience to mark a happy day! We are Little Bunny Bakers, are you ready to join the adventure? For more information and bookings please contact Saskia on 07763 680774 or email LittleBunnyBakers@gmail.com. Magical Moana Experience – Children’s Party Entertainer. Make your children’s party extra special with an appearance from Moana, watch their faces light up as their favourite Disney Princess is brought to life. I have a full DBS and have public liability insurance. I offer different packages to suit all your child’s needs, ranging from a meet and greet, to a full hour with Moana singing, dancing and playing lots of games. Covering Hull and surrounding areas. Please don’t hesitate to get in touch! For more info email magicalmoana@outlook.com or call 07722 168031. My Baby Can Dance are fun dance classes for toddlers. They can come to your party to run a dancing session for you. We deliver the most amazing birthday parties for children (age 1-6). Bringing fantastic music to deliver an unforgettable party – All singing all dancing with activities that will have everyone taking part and enjoying the moment. Parties include My Baby Can Dance Party Leader, music, interactive song and dance activities, toys, bubbles and musical instruments. My Little Princess Parties cover Yorkshire and Surrounding Areas. We provide trained Princess character entertainers for children’s birthday parties & events. We are a franchise of the company ‘My Little Princess Parties’, which has been in business for over 8 years and is one of the largest, most popular and most trusted party companies, with a team of Princess entertainers up & down the country. Prehistoric Hull delivers exciting activities for schools. They also cater for private parties of all ages such as birthday parties as well as therapy sessions, teaching children and grown ups to better understand snakes and other reptiles. Respect for reptiles. For more information please contact Ben on 07523 084913 or email prehistorichull@gmail.com. Princess Parties Hull cater for birthday parties and events in Hull and the sounding areas. Half hour meet and greets, one hour parties and two hour parties available with Anna, Elsa, Belle, Cinderella, Ariel, Aurora, Rapunzal, Snow White, Moana, Tinkerbell, Minnie, Mickey, Olaf, Supergirl, Clawdeen Wolf, Twilight Sparkle, Rey, Princess Leia, Black Widow, Moana, Alice in Wonderland, Jessie from Toy Story and Wonder Woman. They also do nail painting and glitter tattoos. DBS checked with full public liability insurance. Prices start from £65 an hour. Please contact 07849 512902 or 07946 410152 for more information. Rockcity has a range of adult and children’s climbing walls and a bouldering area ideal for children from 3 years +. Bouldering allows children (and grown ups) to climb without ropes in a safe area with different rooms to explore. Also a great cafe on site serving hot and cold drinks and areas to view the climbing with your drinks. They also provide children’s parties for children age 6+ in Rock-It, their clip and climb, fun climbing area. Price: £120 for up to 12 children. Invitations included, children get certificates, birthday boy/girl gets a Tshirt! Equipment included. Please call or for more information or book online. Opening times: Full Centre open Mon-Fri 10am-10pm, Saturday-Sunday 10am-7pm. For more info call 01482 223030 or email info@rockcity.co.uk. Sam’s Safaris’ mission is to educate about the natural behaviour, biology, habitats and diets of our exotic species, raise awareness of wildlife conservation and give everyone the chance to interact with animals that they may have never had the chance to see before. They have a diverse and unusual array of around 40 different species, with around 80% of the animals being donated as unwanted pets, or from rescue centres. Our animal encounter parties are perfect for animal mad individuals of all ages, giving them the chance to get up close with an amazing array of exotic creatures for a fun-filled party, guaranteed to make any special day an unforgettable experience! Under guidance from our experienced animal handlers party goers will get to touch and hold each animal, while learning a little about each at the same time. We can come to your house or a venue of your choice, where we spend an initial hour with the children, giving them the chance to meet each animal, followed by half an hour of either craft activities, where the children make an animal to take home with them, or to simply meet more animals! We recommend a party of 10 – 15 children, however we will cater for parties of up to 30 children. For more information call them on 01302 953739 / 07890 101830 or email samsafaris@hotmail.co.uk. At Saramique Studio you can truly enjoy your child’s celebration with our fully hosted pottery painting parties. Once booked, we take care of everything for you! Packages apply to a minimum of 8 painting children and start from £11 per head – all of which are crammed with all inclusive features unique to us and suitable for all genders and ages. In addition our ‘optional extras’ are designed to add to the child’s experience, whether spinning their own candyfloss or topping their own hot chocolates! Pottery painting parties are the ultimate way to celebrate; fabulous fun, creative, and offering every child a lasting memory of the special day. Drop in anytime for a chat and a tour of our venue. Most soft play centres cater for parties. Some close to the public during your party so you have exclusive access, others run parties alongside standard opening. The Space Dance, 107 – 109 Grafton Street, Hull, HU5 2NP. An amazing birthday party package which includes a 2 hour dance party, music, games, buffet, sweet cones, photo booth, studio hire, a trained dance instructor, and a DVD of the party, for a maximum of 12 children. Prices start from £110. Fun science parties for children aged 5+ (adult supervision required for under 5s). Choose from a 2 hour party (£9 per child) for up to 10 children with a choice of 3 experiments, or a 1 hour party (£7 per child) with 2 experiments. Experiments to choose from include rockets, slime, lava lamps, volcanoes, grass heads, bath bombs, and many many more. 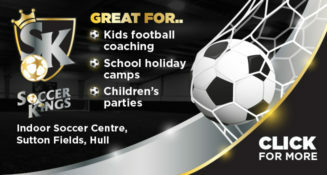 Parties can be held at a venue of your choice within 30 miles of Hull City Centre. Safety equipment is included and children get to keep their creations afterwards. Party bags are available at an additional cost. We’re here to help you celebrate THE most important day in your child’s life, with a totally unique arts and crafts creative party. The fun hands-on activities are tailored to suit your child and your budget and in a location of your choice. Create magical memories that your child and their friends will love, plus, our easy no hassle approach gives you far less to do, so you can relax and enjoy the celebrations too. We are based in Driffield but we also cover Beverley and the East Riding.